Name: Preferred Name: Blue Demon, Jr.
Ring Name(s): Blue Demon, Jr.
May 24th 2015 ACH draw (time) Blue Demon, Jr.
Sep 7th 2014 Mil Muertes def. 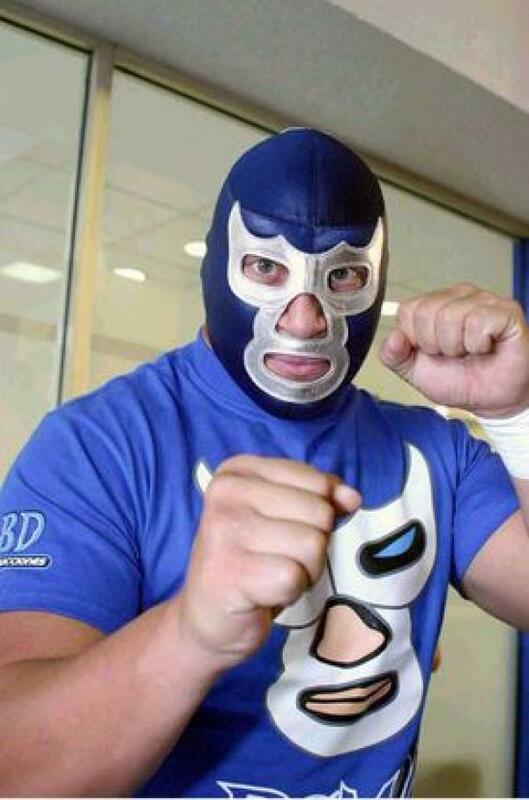 (pin) Blue Demon, Jr.
Sep 6th 2014 Blue Demon, Jr. def. Chavo Guerrero Jr.
Apr 7th 1993 Yuji Yasuraoka def. Blue Demon, Jr.